Smarkets review 2019 – Smarkets are one of the leading betting exchanges, but should you use their platform and what benefits do they have over their competitors? Read our definitive review below to find out more. This is the most in-depth Smarkets review. We’ve covered all the most important considerations, features and tests that make a great betting exchange experience. From listening to our users we’ve managed to put this comprehensive review together. We’d love to hear any of your thoughts on Smarkets too. The betting industry is an incredibly competitive market. However, Smarkets have beaten the odds to become one of the most popular betting exchanges despite being considerably younger than their competitors. Founded in 2008, Smarkets currently employ just over 100 people, in a number of different locations around the world. As I mentioned above, Smarkets are one of the leading betting exchanges in the industry and they’re growing at an unprecedented rate. Over the past few years, Smarkets have continually been listed in the Deloitte Fast 50, an index listing the ‘fastest growth UK technology businesses’ peaking at fourth place in both 2016 and 2017. They’ve achieved great success by approaching the marketplace in a completely different and innovative way compared to other companies. They believe betting should be priced like a commodity. Ever since their formation back in 2008, Smarkets have been keen to shake up the betting industry which their founder and CEO, Jason Trost, described as ‘shady’ and used to ‘milk as much money as possible out of customers.’ We couldn’t agree more with what Jason says. For this reason, Smarkets don’t get involved in the wider gambling industry such as casino, bingo and poker platforms. They focus on event betting where customers can either place back or lay bets. And they do this incredibly well! One of the main reasons for the growing popularity is the smarkets commission rate of just 2%. We’ll come onto this and other reasons we think you should use them later in our Smarkets review. Smarkets are also our favourite betting exchange for those of you who take part in matched betting, more on this later in the review. Overall, more and more people are starting to understand why we love Smarkets so much. Customers often take our advice and use Smarkets as their preferred betting exchange. We’ll look into why later in the article. Before we continue with the Smarkets review, here’s a quick introduction to betting exchanges for those of you who are new to this model. If you’ve already come across betting exchanges, go ahead and skip this section. A betting exchange is an online platform that effectively matches punters with opposing opinions and views. They allow gamblers to play the part of a traditional bookmaker. Betting exchanges don’t take on any risk like traditional bookmakers, they just provide the platform and technology to pair gamblers. Betting exchanges are very important for their part in strategies like matched betting and arbitrage betting. Bettors generally use a betting exchange to reduce the risk in their bets allowing individuals to make a guaranteed profit from bookmakers free bets and promotions. Next up in our Smarkets review, let’s have a look at the most important elements to a brilliant betting exchange. To make this section easy to navigate you can jump ahead using the following links. The first aspect we’ll discuss in our Smarkets review are the markets available. How many categories do Smarkets offer and is each category thoroughly covered? This is one of the most important aspects of a great betting exchange. Markets are the building blocks of any betting company and in theory, the more markets an exchange has, the better. Whilst the markets listed above will be sufficient for most bettors, Smarkets does lack more niche categories when compared to the likes of Betfair, the largest betting exchange. It’s clear to see Smarkets are building their exchange platform one category at a time. Their philosophy is to cover a single market thoroughly before moving on to new markets. In that regard, I’m sure Smarkets are working incredibly hard to add more markets whilst ensuring they cover existing ones at the same time. Overall, there are hundreds of different markets, events and sports you can place your bets on. Unless you’re after a rare market, you’re more than likely to find exactly what you’re after at Smarkets. Next up in our Smarkets review, we’ll look at the quality of odds and how they compare to the competition. Smarkets claim they offer more competitive odds than traditional bookmakers as they don’t have to build in their own margins, which according to Smarkets can be as high as 20%. As Smarkets are a peer-to-peer betting platform, their odds are driven by supply and demand. It’s fair to say, Smarkets certainly offer better odds than most bookmakers, but that’s an inherent part of a betting exchange. In the modern world of online gambling, odds are generally fairly uniform between betting exchanges. However, it’s still one of the main considerations bettors take when choosing where to place their bets which is why we’ll consider it in our review. Smarkets: The back odds are in green and the lay odds are in blue. Betfair: The back odds are in blue and the lay odds are in pink. Betdaq: Back odds are in orange and the lay odds are in green. If you take a look at the three images above they all show the odds for a Watford vs Man Utd football game. Both Smarkets and Betfair offer exactly the same odds which is common. Betdaq offer slightly shorter (lower) back odds for a Watford win and longer (higher) lay odds for a Watford win and draw. If you compare the back and lay odds at Smarkets, you can see they are close together. This is the same at Betfair. However, at Betdaq the odds aren’t always as close together. In an ideal world, the odds should be very similar. Overall, Smarkets do incredibly well in this part of the review. Next up in our review, we’re going to consider the Smarkets commission rate. As I mentioned earlier, a betting exchange make money by charging a commission on player’s net winnings. Therefore commission rate is an important aspect of a great exchange platform and directly affects the amount of profit you make. The Smarkets commission rate is just 2%. This is where Smarkets beat the competition outright and is one of the reasons they’ve gained so much attention and popularity over the last few years. They’ve managed to enter the industry and change things up by offering an industry leading commission rate. By placing bets at Smarkets, I’ve saved £100s in commission over the years. Using Smarkets is certainly effective. Here’s how much more profitable your betting could be when using Smarkets over other exchanges. The commission you pay is reduced by 60% by using Smarkets over other betting exchanges such as Betfair. In terms of matched betting, picking an exchange that charge a low commission directly affects the amount of profit bettors can make from bookmakers free bets and promotions. Therefore for matched bettors out there, the Smarkets commission rate of just 2% is very valuable. The next aspect we’ll consider in our Smarkets review is liquidity. Once again this needs careful thought as it’s a vital component to a betting exchange platform. For those of you who aren’t sure, liquidity is the amount of money waiting to be matched for a given market. The higher the figure, the better. Look at it like a a shoal of fish. The more fish, the easier it is to trade. The more fish in it, the easier it is to trade. You can find the liquidity of any market underneath the market price, highlighted in the image below. Smarkets don’t disappoint when it comes to liquidity. They’re not quite at the same level as Betfair yet, but they can certainly handle high volume betting. There may be occasions when there isn’t enough liquidity to place your bet. However, for most popular markets you should have no issues at all. If you are looking to place a bet on a more discrete market, I recommend you head over to Betfair. Looking at the three images from the odds section above, you can see the liquidity for each market. Smarkets haven’t quite got the same volume as Betfair, but they’re not far behind. Betdaq come out worst. Technology is another key ingredient that makes for a great betting exchange. It’s fair to say, Smarkets are right at the forefront of betting technology and they continue to develop new systems and functions that punters come to love. The founders of Smarkets, Hunter Morris and Jason Trost built the company around tech systems used within the financial trading industry. The company want punters to be able to trade bets like a commodity and their highly successful business model is built around that fact. With that in mind, Smarkets therefore spend a huge amount of money on updating and developing their software to keep up to date with the cutting edge of technology. They also employ the right individuals and expertise to keep their platform running 24 hours a day. Technology is certainly at the forefront of Smarkets’ agenda. As we’ll look at later in the review, the Smarkets technology is incredibly reliable. Over the years I’ve been betting, I’ve had very few issues on a technical front. Furthermore, on the rare occasion there has been an issue, the support team have been incredibly helpful – a point we’ll look at next in our Smarkets review. Smarkets offer a brilliant support network. From an amazing breadth of articles that are available online, to an outstanding live chat service. They’ve got it all. 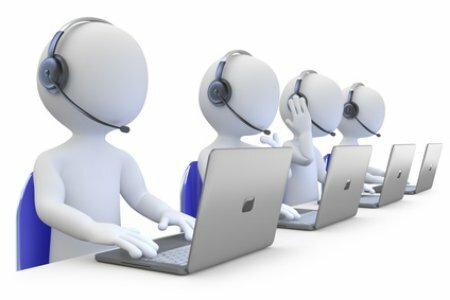 From personal experience, any issues or questions you may have are answered very promptly by the support team. Smarkets have clearly spent a lot of time, effort and money creating brilliant tutorials and support. In my view, they think about customer satisfaction more than any other betting company out there. Something that’s difficult to find in the modern world of gambling. These days you can’t write a bookie review without mentioning some kind of promotion. It’s become a natural part of modern betting. Smarkets offer a great promotion for new customers. Currently they are offering £50 in risk free bets to be used on the Premier League. 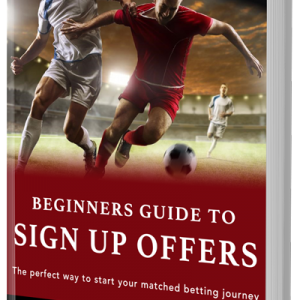 If you’re into matched betting, you can make a guaranteed profit from these free bets. You do not need a Smarkets promo code to access the risk free bets, just click the link below. Next up in our Smarkets review, we’ll look at the payment methods they accept. It’s important for all online betting companies to offer safe and secure payment methods for their customers. It’s important to note, there is a minimum deposit amount of £10 for card and bank transfers. This is £20 for Neteller and Skrill transfers. You can use all the same methods for withdrawing your funds and you must withdraw a minimum of £10 with each method except bank transfers where the minimum is £20. You are also charged a fee of £10 to withdraw using bank transfer. If possible, I don’t recommend using bank transfers as your preferred payment option. It’s also important to note the Smarkets promotion is restricted to customers who deposit using a credit or debit card. As usual, it’s vital you check the terms and conditions for an offer before you take advantage. Don’t let the bookies catch you out. Another key consideration to take into account is the reliability of a betting exchange. Punters want to use dependable and trustworthy companies and have no worries about placing bets and collecting winnings etc. After watching your selected team come from behind, the last thing you want to find out is that your bet wasn’t placed by the betting exchange. This is especially important when using betting strategies such as matched betting. Leaving one side of a matched bet incomplete could lead to unnecessary, costly mistakes. Therefore it’s important the betting exchange always place bets reliably and have a track record of always paying their customers. Smarkets are one of the most reliable betting companies I have used over the years. In all the bets I’ve placed there, I’ve had very few problems with reliability. Customers play a large role in any company. And that’s no different for a bookmaker or betting exchange. Smarkets don’t want to be known as just a betting company. They want their customers to be able to trade bets like people do on the stock exchange. That’s why their customers are not just your regular gamblers. You’re likely to find professional traders, matched bettors and your regular gamblers. All in all, the Smarkets betting exchange is an incredibly diverse platform. As I’ve mentioned in this review, Smarkets don’t sit on the laurels. They’re constantly looking for ways to develop and improve their platform and their live charts feature is just one example of this. In late 2017, Smarkets launched a brilliant live charts feature which allows bettors to see the price of a market over a given period. This allows traders to accurately predict the future of a market, something that can potentially help you increase your profitability. Smarkets are currently the only betting exchange with a live chart feature and it supports their vision of trading bets like a commodity. Overall a great little feature from one of the best betting exchanges out there. In this next section of the Smarkets review, we’re going to look at how easy it is to use the platform. Placing back and lay bets at Smarkets is incredibly simple. Follow the process below and you’ll be in safe hands. Find the market you want to bet on. You can do this either by searching for the event or clicking through the required links. Decide whether you’re placing a back or lay bet. Once you’re happy with the odds, select the desired market. Enter the desired stake and check the liability. This is the amount you need in your account to place a bet. Once you’re happy, place your bet. Smarkets are continually looking for ways to increase the user experience on their site. In the most recent changes, Smarkets focused mainly on the aesthetics and streamlining of the site rather than altering any functional aspects. It’s fair to say, their site is incredibly easy to use and they’ve developed a very modern and aesthetically pleasing look. Overall, in my view, Smarkets have the best website in terms of functionality and aesthetics out of every betting exchange. One of my favourite parts of the site is the search function which allows you to place your bets from within the search drop down. This is brilliant if you need to get a lay bet placed in a hurry. With the number of mobile users increasing each year, it’s important a website/app work well on smaller devices. The Smarkets app is a good example. The team built a brilliant iOS and Android mobile app in March 2017. This makes placing bets on the move far easier than it was before. The mobile version of the website works fine, but the whole user experience is considerably better when using the Smarkets app. If you have a smartphone I suggest you download the app. Overall, Smarkets are my favourite betting exchange. They’re changing the reputation of the betting industry whilst pushing for latest developments and strategies all the time. 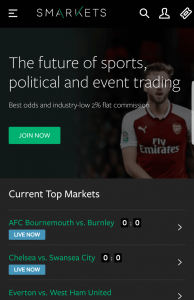 If you’re looking to get started with matched betting or you’re already taking part, in my view, Smarkets are the betting exchange you should use. Smarkets offer an awesome, industry leading commission of just 2%, their liquidity is growing all the time and their customer support is second to none. You should definitely open a Smarkets account to place your back and lay bets.